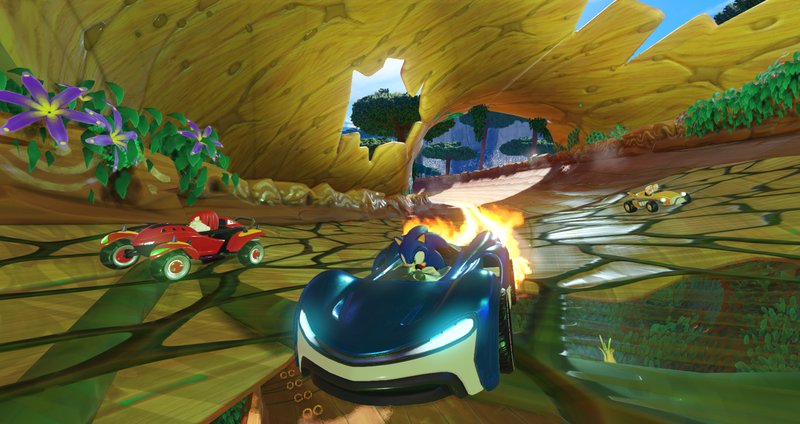 Walmart has spoiled yet another video game announcement, with a listing this morning revealing the existence of Team Sonic Racing for Nintendo Switch. Earlier this month Walmart Canada leaked the existence of a bunch of other games including Rage 2. [Update - 11:00am]: Sega has officially confirmed the game is real with a new teaser trailer. While it doesn’t show actual gameplay, it does say Team Sonic Racing is set to release sometime this winter on PS4, Xbox One, and PC as well—not just Switch. The latest leak, which was reposted on the gaming forum site ResetEra, shows Switch box art and screenshots of Sonic, Shadow, and others collecting rings in fancy cars. The game is being developed by Sumo Digital, who worked on 2010’s Sonic & Sega All-Stars Racing and 2012’s Sonic & All-Stars Racing Transformed, and will include many of the same elements based on the product details provided by Walmart, including Grand Prix, Exhibition, and Time-Trial modes, as well as a new Team Adventure mode, 12 player online multiplayer, and local split screen of up to four people. The product details list a playable roster of 15 characters, each specializing in either speed, technique, or power. Items return as well, but there will also be a new team racing dynamic with additional special team moves including Team Ultimates. 15 is a bit low considering one of the main draws of a Sonic racing game is getting to play as lesser-known favorites, especially considering All-Stars had 20 and Transformed had 27, but it’s always possible the roster could be expanded down the line. The game was initially teased back at this year’s SXSW festival with a silhouette of the logo, a few months after reports surfaced that European toy manufacturers were working on Sonic kart racing toys. We expect an official announcement later today.